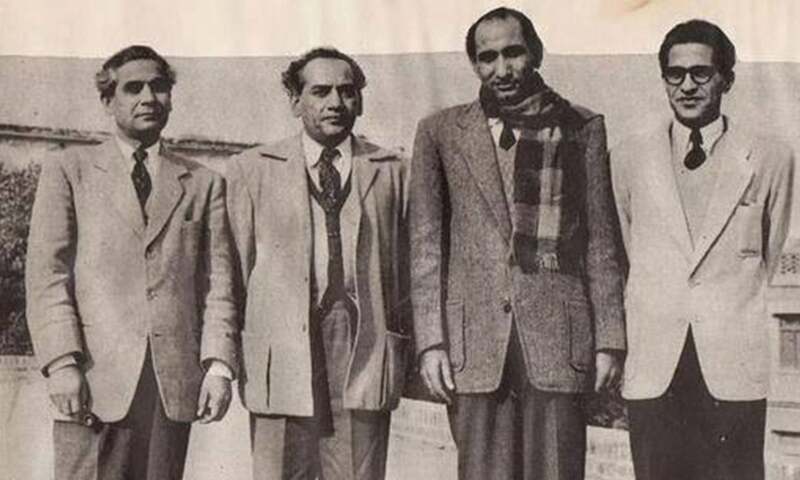 [S]ince 1964, when he was first arrested, popular poet Habib Jalib has been incarcerated for his political beliefs a number of times, and it is difficult to say who has suffered more — he or his wife and children. Mrs Jalib is a simple woman from Punjab's peasant stock, with broad shoulders and a strong constitution. She is not a well-educated person. "I can sign my name and read the newspapers." 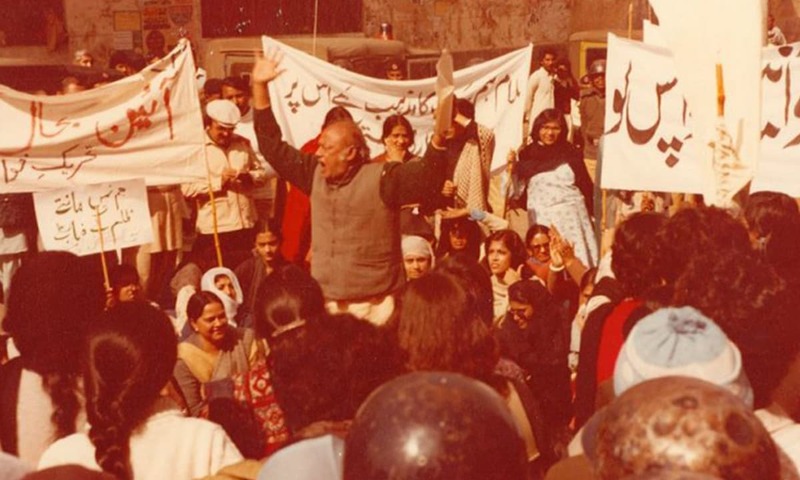 Below Habib Jalib and his wife talk about his periods of detention, and the different methods that have been used to harass the poet and his family. Herald: What was the reason for your first arrest? Habib Jalib: Somehow the authorities never found a non-farcical reason for arresting me. 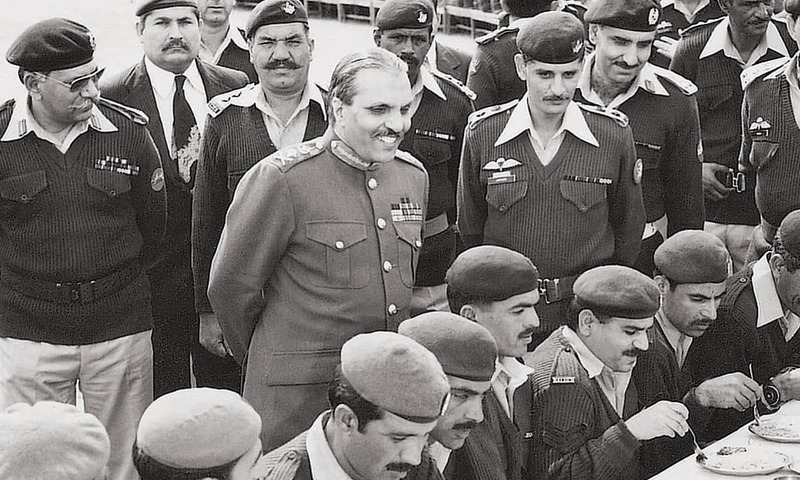 For instance, in 1964, when I raised my voice against Ayub Khan, they decided to frame a criminal charge against me. I was living in a two-room portion of a house in Sant Nagar. I used to leave home early in the morning and return late in the night. A police officer started calling at my house to inquire about me, saying that the authorities have received information that I has a bogus or forged passport. He sometimes threatened my wife. I knew this was a trick. Probably the passport story was concocted to get hold of a photograph of mine — I was quite well known but perhaps I had not had the privilege of facing many policemen or the witnesses retained by them, so they wanted to get my passport. Then, one day I was sitting in the Coffee House with a couple of friends. A police officer arrived and took me into custody. He examined my passport. There was nothing wrong with it and he could not give any reason for arresting me. All he could say was: "Can't let you go, we have got you with great difficulty. Orders are that if I fail to arrest you today, I will be suspended." So they took me to jail. Later on I learnt that I had ripped somebody's arm with a dagger that I was in the habit of carrying in my bag. Somebody must have mentioned to the Kalabagh men that I wrote verses with a dagger dipped in vitriol. Anyhow, the tactic failed. At Miss Jinnah's election meetings my recordings were played: "Aise datur ko, subhe be noor ko, mein nahin janta, mein nahin manta." Then my counsel, Mian Mahmud Ali Kasuri, got me released on bail, and I straightaway joined a rally in support of Miss Jinnah. Herald: Mrs Jalib, how did you feel at that time? Herald: Were you told why Jalib Sahib was arrested, where he would be kept, and how soon you could meet him? Mrs Jalib: We were told nothing at the time of the arrest except that Jalib Sahib was wanted by the police. I did find out after two or three days that he had been detained. I could meet him in jail after a week and once a fortnight later on. Jalib: Next time the authorities decided that I should not be with my family on Eid day. This was during the Yahya Khan period. They came for me on the day before Eid. I had fever and had gone to the clinic to get some medicine. From the clinic I was taken to the Civil Lines police station. The police sub-inspector was very polite. He said: "This time we are not your hosts; it is a martial law order." This was one of my worst experiences of detention as there were four or five Eid holidays and I had to stay in the lock-up all these days. I got sick and my digestive system was upset as I could not go for my normal walk. When they sent me to jail after the holidays, I sincerely thanked my captors. Mrs Jalib: I went to see Jalib Sahib at the police lock-up. While I was waiting in a taxi outside the police station, a police officer came and said to me: "Jalib Sahib has advised you to accompany me and help me in apprehending Maulana Ghulam Mohammad Hashmi". Of course, I refused to fall in the trap. I was not as dumb as I looked. The result was that I could not see Jalib Sahib, and the threats became serious. For instance, I was once asked to surrender my small son as a hostage. Herald: Were you able to visit your husband in jail regularly? Mrs Jalib: I was permitted to see him but sometimes it was not easy; often I did not have money to pay for the fare up to the jail and efforts of borrowing money failed. Jalib: When I was arrested in connection with the case against the National Awami Party (during the PPP regime), it was the day of 'soyem fatiha' for my 13-year-old son who died because we did not have money to get him treated properly. I was going to the toilet, with a lota in my hand, when two DSPs entered the house. They took up positions at the entrance to the toilet but mercifully allowed me to answer the call of nature. This time I was told that the FIA SP wanted to talk to me. By then I was an experienced politico. So I declared nobody could talk to me until I had been given proper breakfast. The rest is history, how we were produced before the Hyderabad Tribunal. Mrs Jalib: On this occasion I saw Jalib Sahib after six months. Also this time everyone told me there was no hope for Jalib Sahib's release. Neighbours and relatives suggested I should ask him to repent of his political sins and persuade him to write poems in support of the government. This is not done. Herald: What has sustained you through all these years of trial? Mrs Jalib: His poetry gave me courage. Jalib: Once after being arrested I was being taken through Anarkali Bazar, and my wife was following me, many people stood up in their shops to greet me. Passers-by waved to me. Some congratulated me on being true to my convictions. I asked her, "Do you want this Jalib or a rich non-entity?" She said I was alright as I was. Mrs Jalib: Also, I felt proud of his poetry and I knew that truth was on our side. Herald: What about your last detention? 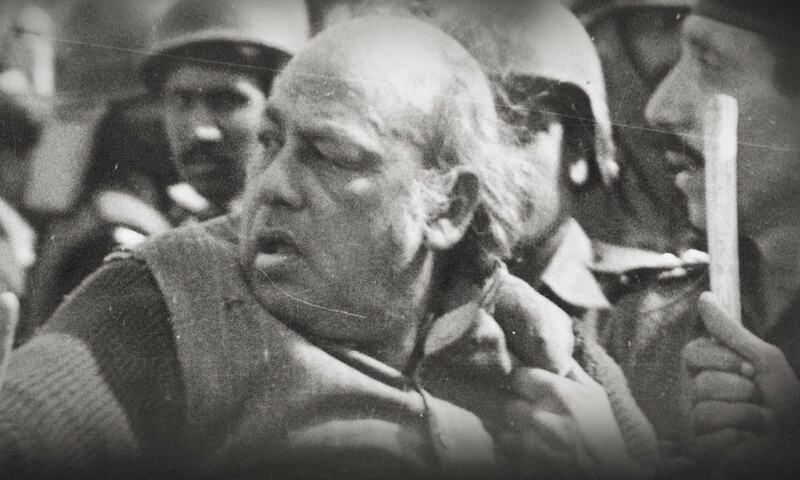 Jalib: In 1981? That was very funny indeed. I was in a crowd, an assorted collection. Nobody ever told me the reason for my detention. Then they found that I was writing poetry in Kot Lakhpat and punished me by transferring me to Mianwali. As if one can't write poetry in Mianwali. This article was originally published in the Herald's January 1987 issue. To read more subscribe to the Herald in print.